UK Tour 1st Stop: NAMIR AGM! 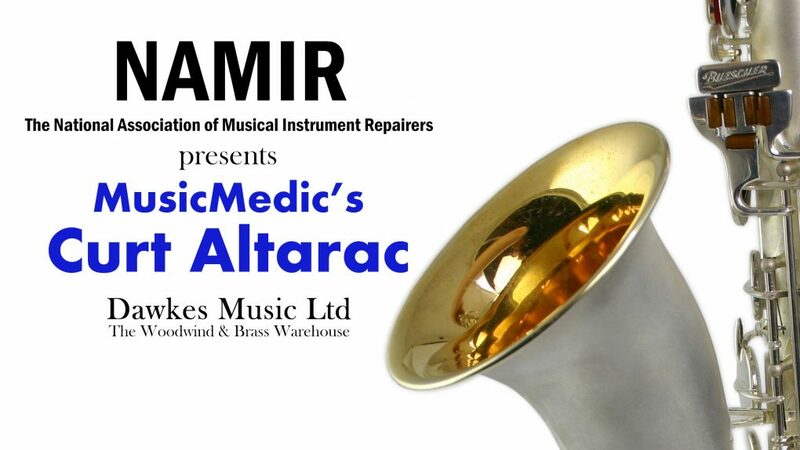 Our very own Curt Altarac will be heading to the UK this weekend for a week of Clinics and visits! He’ll be attending the AGM for NAMIR on Sunday the 4th as well as giving a clinic! We are excited to be sending Curt off with some cool tools to display and a sample of our woodwind pads for a few lucky attendees! Curt knows exactly what it takes to make a saxophone play at the highest level. He is known around the world for improving Saxophones via an extensive key fitting, modifications, superior padding, tuning, and toning. Curt’s unique techniques are based on a desire to improve the instrument and our trade while satisfying the most discriminating professional customers. In this short 1.5 hour clinic, Curt will share his philosophy of instrument repair along with some of the tools and techniques he uses in his shop in the USA. This event is Free for NAMIR members and open to guests for a small fee. Click HERE for more info! And if you’re excited to learn more about the topic that Curt covers in his clinic Sunday, you can attend the full-length version Monday the 5th a Cambridge Woodwind Makers! This clinic is also Free! Click HERE for more details. We know that not everyone may be available this weekend but that’s ok! If you would like Curt to visit your shop next week or just get together for a Pint feel free to contact us and we can set everything up! Contact: Rich@musicmedic.com or message us on Facebook! Curt is headed to the UK! MusicMedic is going to the the Texas Music Educator Association (TMEA) show!